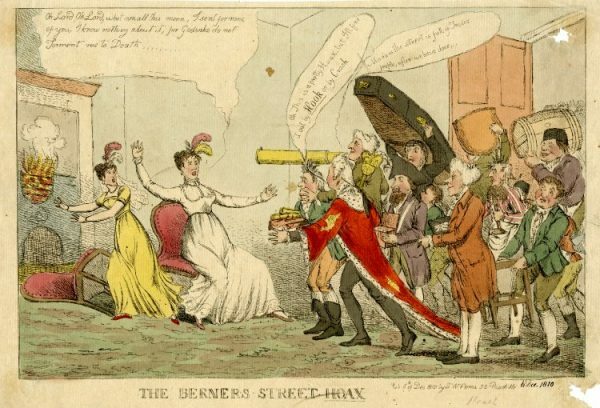 1810 – The hilarious Berners Street hoax is perpetrated by Theodore Hook in London. The Berners Street hoax was perpetrated by Theodore Hook in Westminster, England, in 1809. Hook had made a bet with his friend, Samuel Beazley, that he could transform any house in London into the most talked-about address in a week, which he achieved by sending out thousands of letters in the name of Mrs Tottenham, who lived at 54 Berners Street, requesting deliveries, visitors, and assistance. 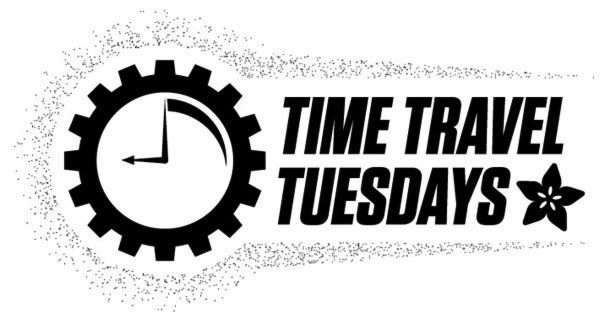 1839 – The American Statistical Association is formed in Boston. The American Statistical Association (ASA) is the main professional organization for statisticians and related professionals in the United States. It was founded in Boston, Massachusetts on November 27, 1839, and is the second oldest continuously operating professional society in the US (only the Massachusetts Medical Society, founded in 1781, is older). The ASA services statisticians, quantitative scientists, and users of statistics across many academic areas and applications. 1895 – Alfred Nobel signs his last will and testament, setting aside his estate to establish the Nobel Prize after his death. 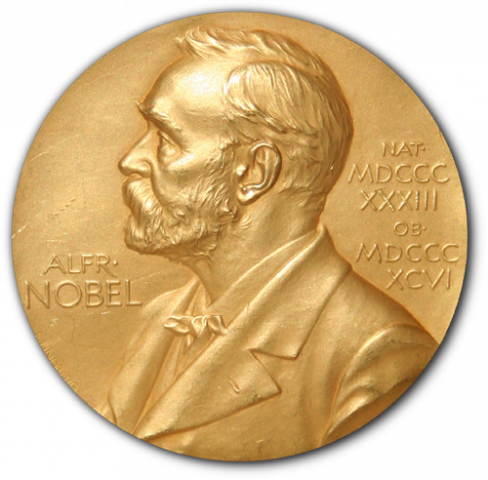 Nobel’s instructions named a Norwegian Nobel Committee to award the Peace Prize, the members of whom were appointed shortly after the will was approved in April 1897. Soon thereafter, the other prize-awarding organizations were designated. 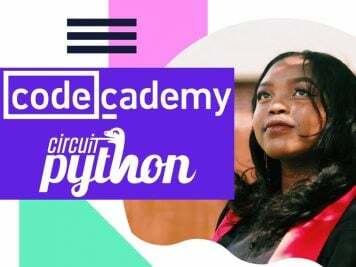 These were Karolinska Institutet on 7 June, the Swedish Academy on 9 June, and the Royal Swedish Academy of Sciences on 11 June. The Nobel Foundation reached an agreement on guidelines for how the prizes should be awarded; and, in 1900, the Nobel Foundation’s newly created statutes were promulgated by King Oscar II. In 1905, the personal union between Sweden and Norway was dissolved. 1924 – The first Macy’s Thanksgiving Day Parade is held is held in NYC. In 1924, the annual Thanksgiving parade started in Newark, New Jersey by Louis Bamberger at the Bamberger’s store was transferred to New York City by Macy’s. In New York, the employees marched to Macy’s flagship store on 34th Street dressed in vibrant costumes. There were floats, professional bands and live animals borrowed from the Central Park Zoo. At the end of that first parade, as has been the case with every parade since, Santa Claus was welcomed into Herald Square. At this first parade, Santa was enthroned on the Macy’s balcony at the 34th Street store entrance, where he was then crowned “King of the Kiddies.” With an audience of over 250,000 people, the parade was such a success that Macy’s declared it would become an annual event. 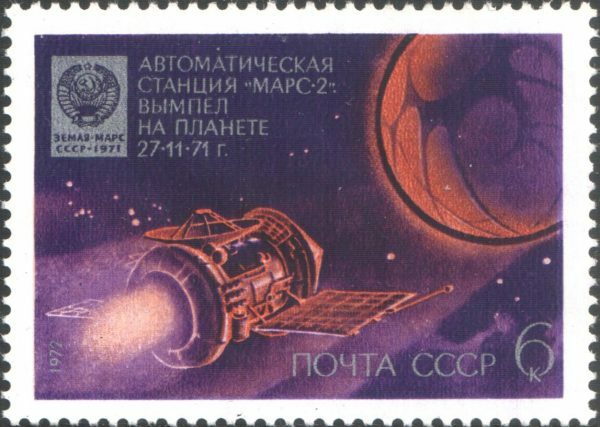 1971 – The Soviet space program’s Mars 2 orbiter releases a descent module. It eventually crashes, but it is the first man-made object to reach the surface of Mars. Mars 2 released the descent module 4.5 hours before reaching Mars on November 27, 1971. The descent module entered the Martian atmosphere at roughly 6.0 km/s at a steeper angle than planned. The descent system malfunctioned and the lander crashed at 45°S 30°W, delivering the Soviet Union coat of arms to the surface. Meanwhile, the orbiter engine performed a burn to put the spacecraft into a 1380 x 24,940 km, 18‑hour orbit about Mars with an inclination of 48.9 degrees. Scientific instruments were generally turned on for about 30 minutes near periapsis.